And they want to gather them all up before other birds get a chance! There are not as many in our area any longer… as Bluejays have been very susceptible — as are crows — to West Nile virus. I hope they continue to rebound better! Thanks, Tom. Our Blue Jays are back to good numbers. Wonderful colours of this lovely little bird, Sandy! Blue Jays are quite striking, I think. We don’t have Blue Jays in the UK, they are so pretty! 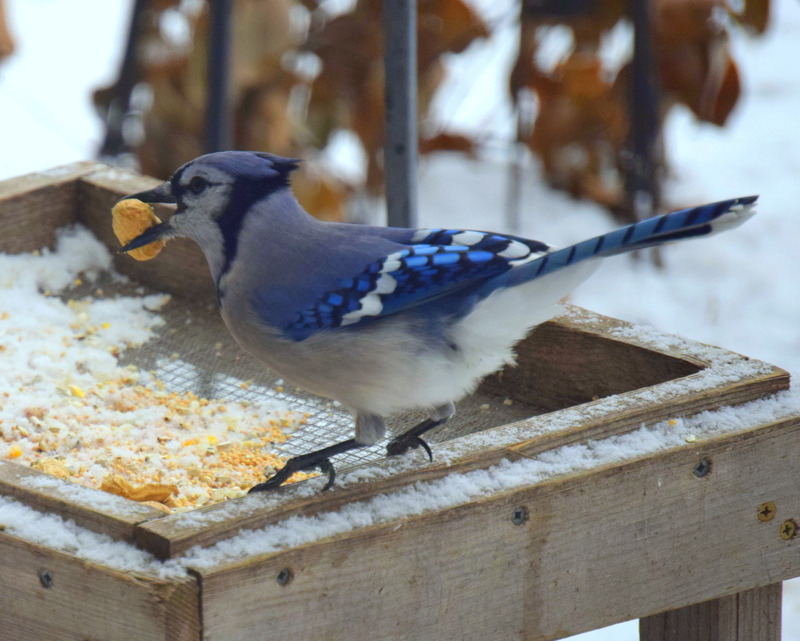 We have Stellar Jays. I’ve only seen one Blue Jay so this was a treat. And we don’t have Stellar Jays. I always enjoy seeing them when we are in Colorado. I don’t know about Blue Jays, but Stallar Jays are squackers. Noisy and irritating, but pretty to look at lol. Blue Jays are noisy as well. They always announce their arrival. haha, I didn’t know that.